Miller Lite and Bud Light are getting a little more expensive. Frat boys, prepare to be broke: Budweiser and Miller Lite are hiking up the price of their beers. 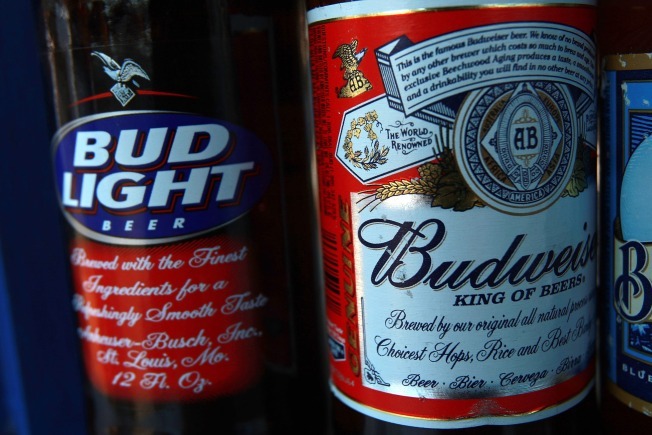 Anheuser-Bush and MillerCoors announced Tuesday their high-selling brews would cost more -- but declined to say exactly how much more damage they'd be doing to your wallet. MillerCoors rep Pete Marino said the increase would be "moderate" and would help cover costs the company has incurred over the past year. Sales of Miller Lite and Bud Light, the two beer companies' top producers, respectively, have both suffered thanks to the recession. The price of beers for at-home consumption rose 5.3 percent in 2008. As of July this year, prices on the same items were 4.6 higher than the year before.